RAM plays a big role when it comes to After Effects, but do you know why that is? Let’s find out. We recently talked about Graphics Processing, and the role that the GPU has within the function and operation of After Effects. While there was some definite benefits to the GPU and its internal memory, in After Effects RAM is bigger and more important priority. The problem with any of these hardware technical terms is that one can become easily confused quickly when trying to wrap your head around them. With that said let’s take a simple and focused approach to understanding what RAM is and why it's so important to those of us who use After Effects everyday. So What Exactly is RAM? RAM stands for Random Access Memory, and it is a crucial component to any desktop or mobile device. We’ll get into why we actually need it in just a second, but before we do that we need to make a very clear distinction here. As many of you may know, RAM can also be called “Memory”. Now, using this term can confuse some people. Why is that? Well it's because some people use the word “memory” interchangeably when talking about RAM, or, when talking about a hard drive. So, let’s be very clear, RAM has nothing to do with your hard drive and its storage capacity. Okay, so then why do we need it, and why is it a big deal for After Effects? In short, RAM is needed in After Effects to allow your computer to quickly access data, instead of your computer going to the hard drive to search for that data. Think of RAM like book shelf, on this book shelf you have added all of the books that you want direct access to at any time. Now, think of your hard drive like a cardboard box, in this box you place all of the books that you don’t want quick access to, but would rather just store away for now. 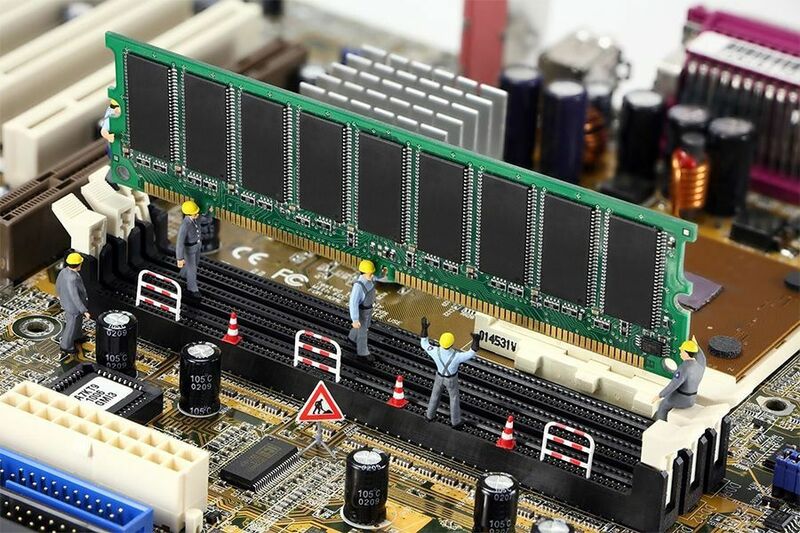 When needed your computer will temporarily store data from active programs in RAM, which allows it to work far more quickly and efficiently. Just understand that, unlike a hard drive, the data stored in RAM is erased once the computer is shut down. Which, of course, is why your programs aren’t still open when you power the computer back up. However, After Effects will store away some video files on your hard drive in a disk cache to allow for faster editing in the future. If you want to learn more about that check out this article we wrote about the disk cache. As a Motion Designer Why Should I Care about RAM? Simply put, you need RAM to make the magic happen. No matter if your using a Mac or PC, both require RAM to operate. 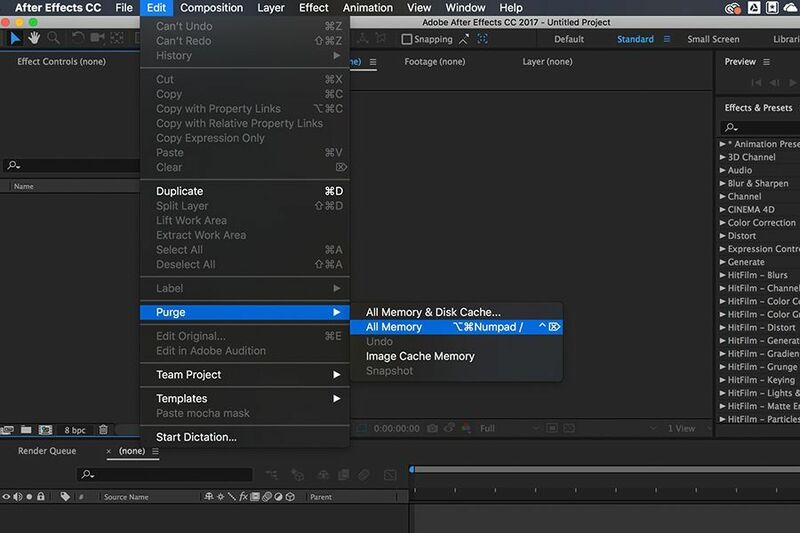 As a Motion Designer you should know by now that After Effects relies heavily on your computer’s RAM and CPU to perform the tasks you set for it. One of these key tasks is rendering. As we’ll see in the video below from Tek Everything, having more RAM installed greatly increases the render times for After Effects. More RAM = More Speed. Remember, RAM stores amounts of data so that way an application, like After Effects, can perform its duties quickly and more effectively. This is incredibly important for us as Motion Designers, because we usually work on a time crunch, needing to turn around project quickly. By having the right amount of RAM we greatly increase our ability to process and render out our comps in the turnaround time needed. How Much Ram Should I Be Using in After Effects? The minimum amount of RAM that After Effects needs to run is 8GB. However, Adobe recommends using 16GB of RAM. For my system I run 32GB of RAM which allows After Effects to run incredibly smooth. I have used some systems with 64GB of RAM, and the efficiency with which After Effects works is astonishing. If your running 8GB or 16GB of RAM you may end up getting an error message from After Effects saying that it requires more memory to complete a task. This could happen for a number of reasons. I’ve had it happen to me in the past because I had 4 other applications running in the background that were eating up memory allocation. But don’t worry, you can easily elevate this issue. Does the Brand of RAM Matter for After Effects? Yes, brand matters a lot when buying computer components for Motion Design machines. 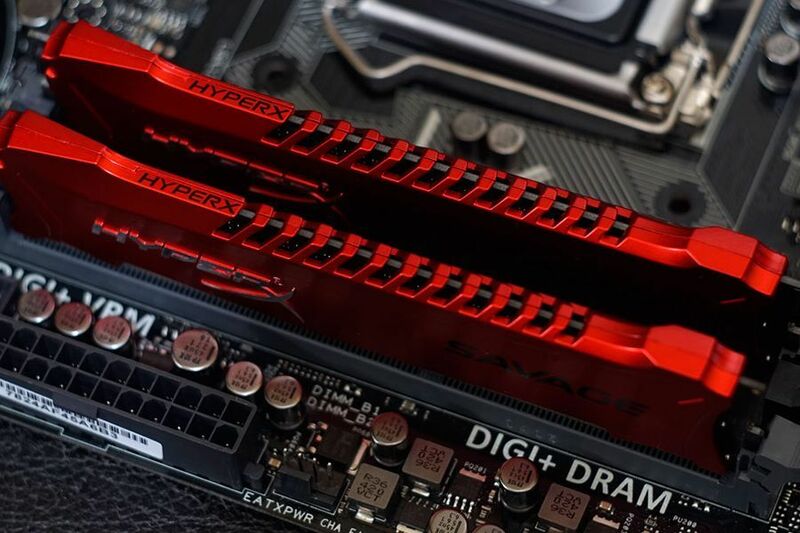 Most brands that produce RAM are going to give you a great product. I honestly can’t remember getting a bad stick of RAM in the last 18 years. But I do stick to a very selective group of brands. For PC’s, brands like Corsair, Crucial, PNY, and Kingston are going to be your best bets. While on a Mac I would advise anyone to go through OWC. I know you can use the brands I listed above on certain Macs upgrades, but I have a personal track record with OWC that is flawless. 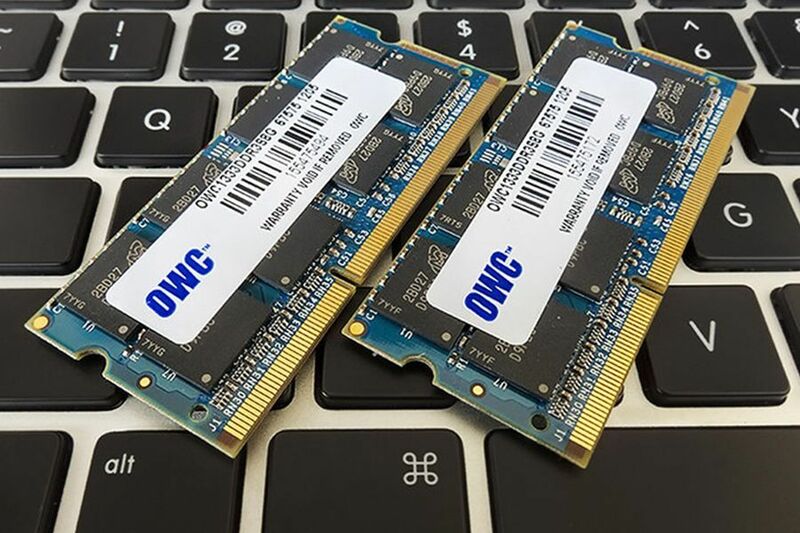 So, again, anyone seeking to upgrade RAM for their Mac OWC is where I would send them in a heartbeat. Now, if you need to know places to buy this RAM I would strongly suggest going to either Amazon or NewEgg for PC component purchases. Then again, head over to OWC or even MacMall for your Mac purchases. Can I Tell After Effects How Much RAM to Use? You sure can, Stan! 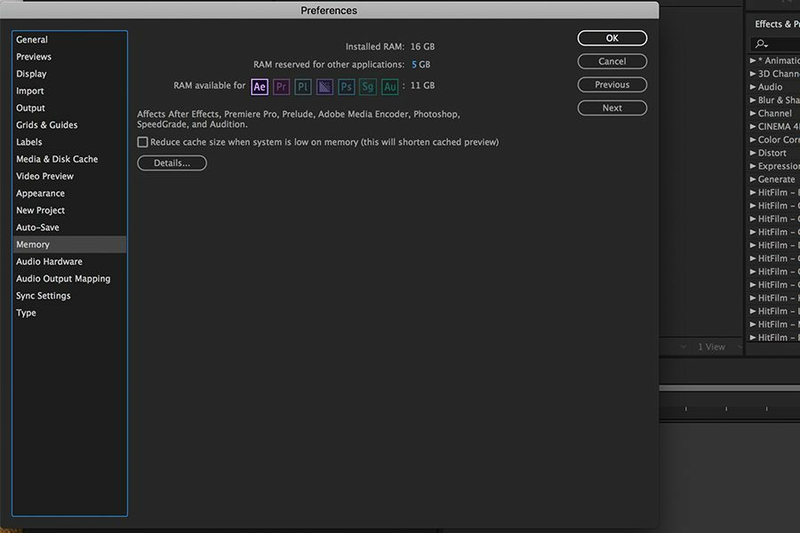 By simply going to After Effects Preferences you’ll find a section labeled “Memory.” Here the software will read how much RAM is installed on your computer and give you a default split of that RAM. For instance if you’re running 16GB of RAM, After Effects may split that in half, with 8GB going to other applications and 8GB going directly to After Effects. The After Effects Preferences Panel: Lot's of fun things to mess with here! The great thing about this preference is that you can tell After Effects how much RAM to allocate for itself. So if your running 32GB of RAM you can tell AE to set aside 24GB of RAM for itself, leaving you with 8GB of RAM for other applications. Please remember that this RAM allocation is only in effect while AE is running. There you have it, a quick and easy breakdown of RAM and why it's so vital to After Effects and to us as Motion Designers. Be sure to check out our article on Graphics Processing. We'll be talking about the CPU next!